Our latest release was packed full of HTML5 goodness, including the HTML5 Adhesion Banner template - an IAB Mobile Rising Star. 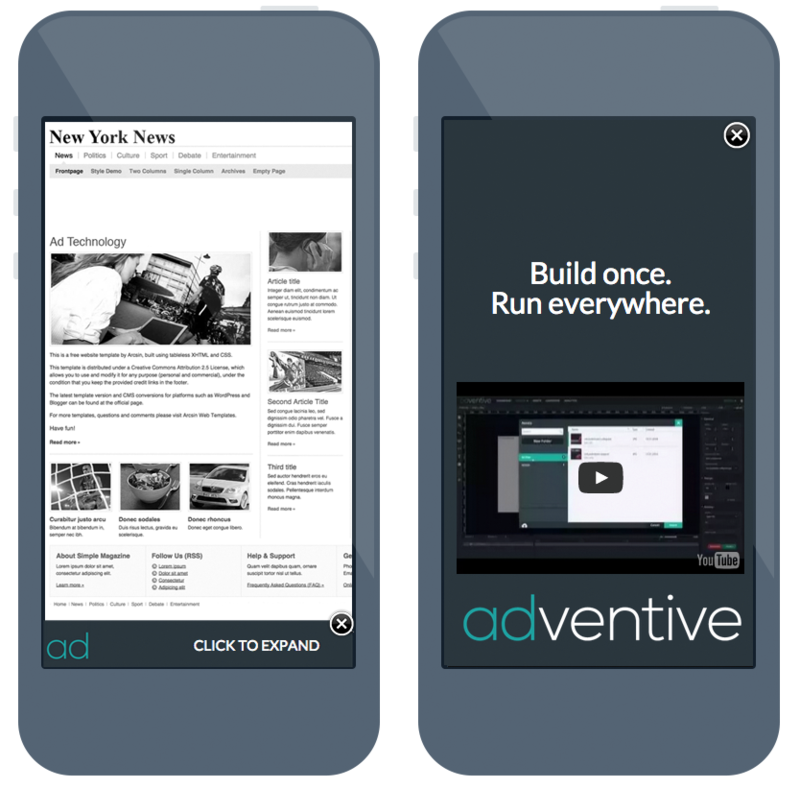 The Mobile Adhesion Banner is responsive, dynamically resizing for portrait and landscape device orientation. So if your looking to maximize content and ensure cross-device compatibility, the Adhesion Banner is the format for you. The Adhesion Banner is anchored at the edge of the screen and scrolls with the page and can also expand to full-screen, giving you more rich media real estate.